Dr. Solomon Solis-Cohen (1857-1948) born in Philadelphia, was one of the founders of the Jewish Publication Society of America, and a member of its publication committee. A president of the Young Men's Hebrew Association of Philadelphia, he was also one of the founders and a member of the first board of editors of "The American Hebrew"; and a founder and trustee of the Jewish Theological Seminary Association. He was a member of the board of trustees of Gratz College, Philadelphia, president of the Philadelphia County Medical Society (1898-99), and recorder of the Association of American Physicians. Rabbi Joshua M. Davidson is the senior rabbi of Congregation Emanu-El of the City of New York. From 2002 through 2013 he served as senior rabbi of Temple Beth El of Northern Westchester in Chappaqua, New York, and from 1997 to 2002 as assistant and associate rabbi of Central Synagogue in New York City, advising that synagogue’s award-winning Social Action Committee. A graduate of Princeton University and ordained by the Hebrew Union College-Jewish Institute of Religion, Rabbi Davidson’s work has included anti-death penalty advocacy, gay/lesbian inclusion and interfaith dialogue. In 2009, he was honored for his interfaith efforts by the Westchester Jewish Council and the American Jewish Committee, on whose New York board he sits. Rabbi Davidson serves on the board of directors of the Kavod Tzedakah Collective, A Partnership of Faith in New York City. He also is a member of the Hebrew Union College Board of Governors, HUC President’s Rabbinic Council and the Clergy Advisory Board of Interfaith Impact of New York State. He is a past president of both the Westchester Board of Rabbis and the Chappaqua Interfaith Council. From 2001 to 2006, he served as chair of the Central Conference of American Rabbis’ Committee on Justice, Peace and Religious Liberties and vice-chair of the Commission on Social Action of Reform Judaism. He also has chaired the Commission’s task force on Israel and world affairs. He is a past board member of Rabbis for Human Rights-North America. Rabbi Davidson holds a Corkin Family Fellowship at the Herbert D. Katz Center for Advanced Judaic Studies at the University of Pennsylvania and Clal-The National Jewish Center for Learning and Leadership. His articles have appeared in The Jewish Week, Commentary Magazine, The New York Post and The Huffington Post; and he is a contributing writer in Rabbi Lawrence Hoffman’s Prayers of Awe series. Perle Derbaremdiger Peretz (estimated between 1711 and 1771) was the daughter of Malka Peretz and Rabbi Yisroel Peretz. She was the wife of the ḥassidic rebbe, Levi Yitsḥak of Berdichev, z"tl. Dimus Parrhesia Press is an independent print-publishing house dedicated to disseminating new and historical works of Jewish magic and myth, liturgy and theurgy, folklore and fantasy smuggled from across the River Sambatyon. We aim to revive a Jewish literary culture fascinated by fantastic lore and magical praxes. 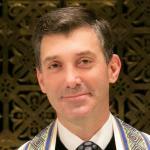 David Dine Wirtschafter is the chief rabbi of Temple Adath Israel in Lexington, Kentucky.